OMG what a gorgeous bath bomb! See my short video clip of it below. This shares it's beautiful scent with Lush "Happy Happy Joy Joy" and a couple of other lush products. 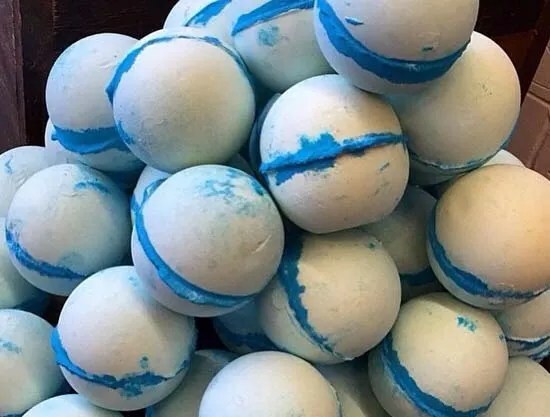 Review: The fragrance of this bath bomb surprised me. I thought because it was called “Frozen” it might be minty. Instead this is a Gorgeous floral with citrus notes. It has the lscent as Lush “Happy Happy Joy Joy” shampoo, “shine so bright”. It has silver shimmer in the water which does leave an ever so light sheen on the skin after the bath. The water is an incredible bright sky blue color. Lush description: Let it go – This magical blend of uplifting grapefruit, tunisian neroli, rose oil. See my video of this gorgeous bath bomb below. 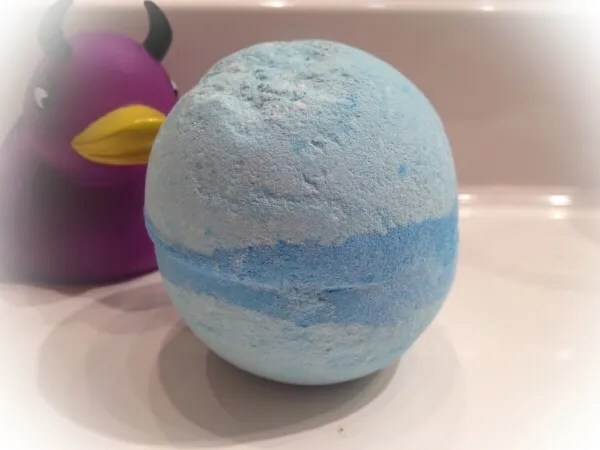 Posted on September 12, 2015 by Lushalot	• This entry was posted in Bath Bombs, Lush Kitchen menus and product demos, Lush Oxford Street store exclusives, New and tagged 2015, blue, frozen, grapefruit, happy happy joy joy, let it go, lush kitchen perfume choice, lush kitchen voting, lush oxford street, neroli, oxford street, rose, scent family, sparkle. Bookmark the permalink.